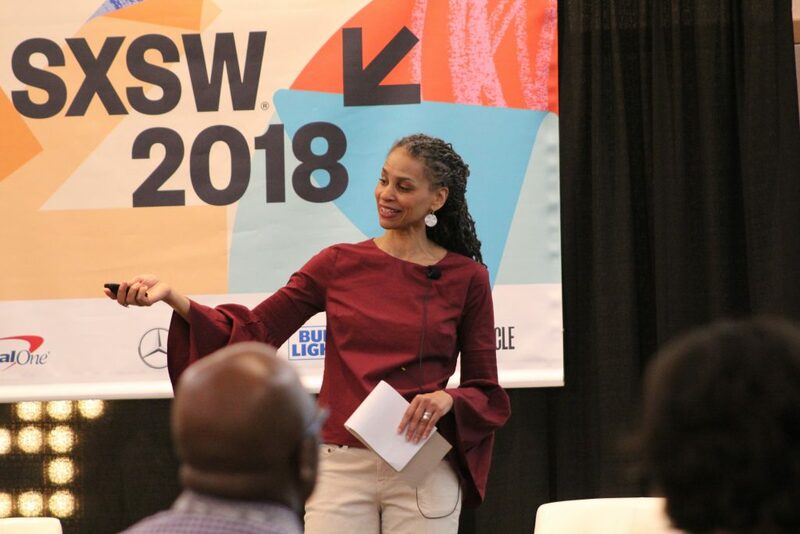 Maya Wiley, Senior Vice President for Social Justice at The New School and a nationally recognized digital equity advocate, shared her perspective at #SXSW. In her public lectures, media interviews, and op-eds, Maya Wiley often speaks out against the “technological chasm” — the starkly uneven level of access to digital technology afforded to people of across the socio-economic spectrum — impacting the country. She has spent her life and career fighting to narrow that divide. As counsel to the Mayor of New York City, Maya Wiley led an effort to provide free high-speed wireless to the Queensbridge apartments, the largest public housing community in North America, and shepherded the launch of LinkNYC, an initiative transforming New York City’s old pay phones into Wi-Fi kiosks to create the world’s largest and fastest free public Wi-Fi network. As senior vice president for social justice at The New School, she founded the Digital Equity Laboratory, a project-based center that identifies and supports strategies to transform how technology is understood and used in order to drive racial, gender and economic equity. It is for those reasons and more that Wiley was recently included in Apolitical‘s World’s 100 Most Influential People in Digital Government in 2018. Wiley appears alongside other leaders such as Audrey Tang, Malcolm Turnbull, Martha Lane Fox and Tim Berners-Lee.